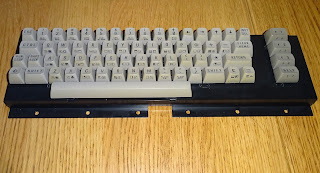 This is day 11 of the Advent Calendar of USB keyboards. Today, a Commodore 16 USB keyboard, with Raspberry Pi2. 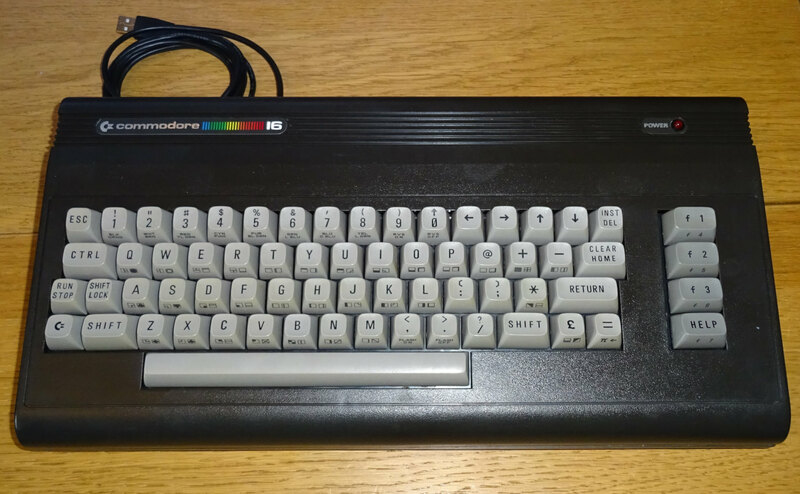 This is another one that I hadn't been asked for before, but again should follow basically the same idea as the Commodore 64 and VIC20 versions. I already had USB keyboard firmware for the C16. The keyboard construction and the connector is the same as the C64/VIC20, but the pinout and mappings are different. 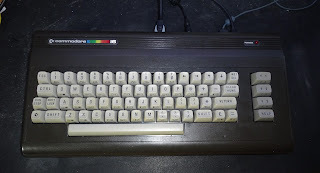 It is arguably a better looking keyboard (ignoring whatever you think of the 264 series), black and grey seems more modern, and a full set of arrow keys is nice, albeit in an odd location. The function keys are also a bit weird with HELP where F4 should be, F5-F7 offset by one place and F8 missing. 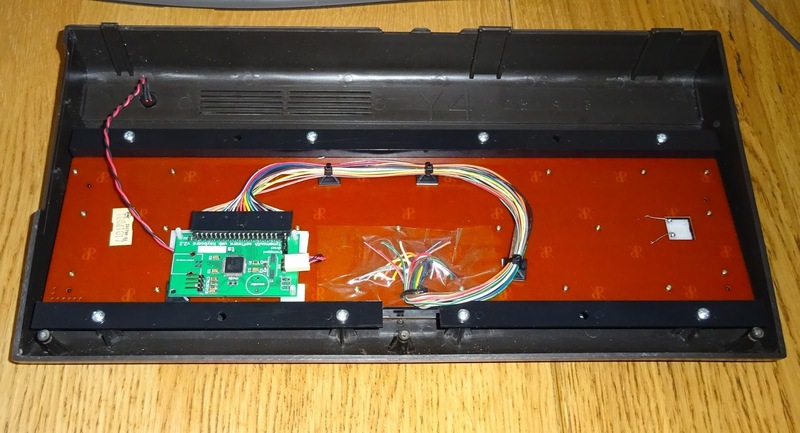 This one didn't need the emulator mode switch, so was the straightforward keyboard controller on the rear of the keyboard. 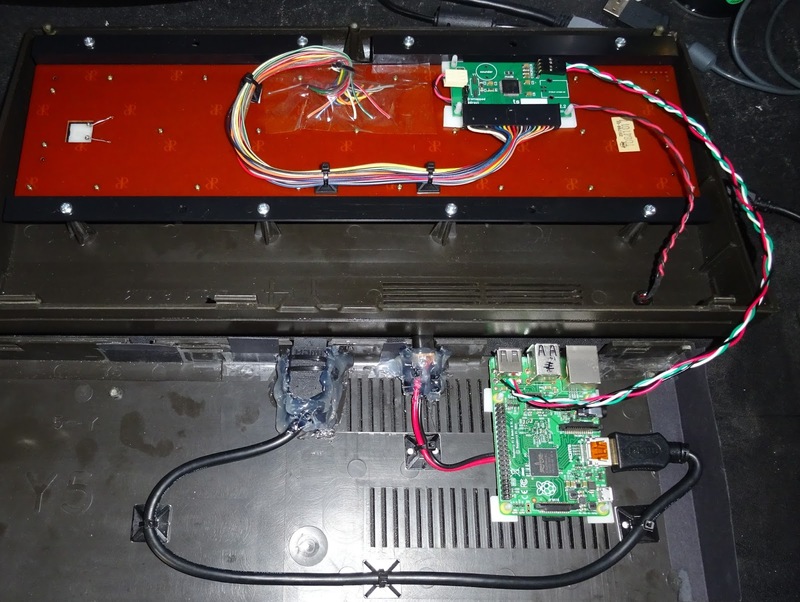 The original power LED wired to the controller. 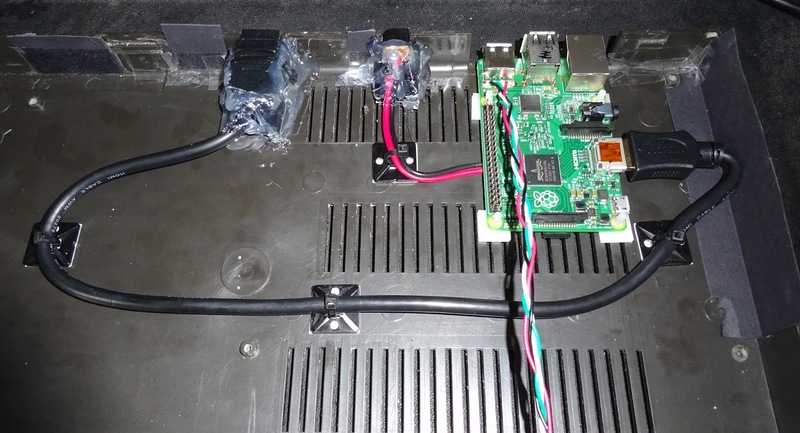 I only replace the LED when it is showing the mapping mode. 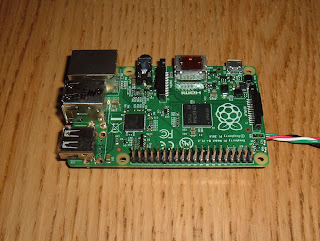 The Raspberry Pi2 was, as usual, modified to remove one dual USB connector and replace it with a single one. 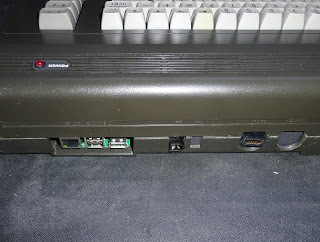 The USB keyboard controller is wired directly in to the pins for the missing socket. 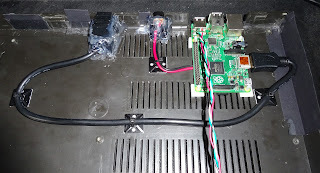 Power comes from a 2.1mm DC jack, wired direct to 5V in on the Pi2, and the HDMI is extended to a suitable location. 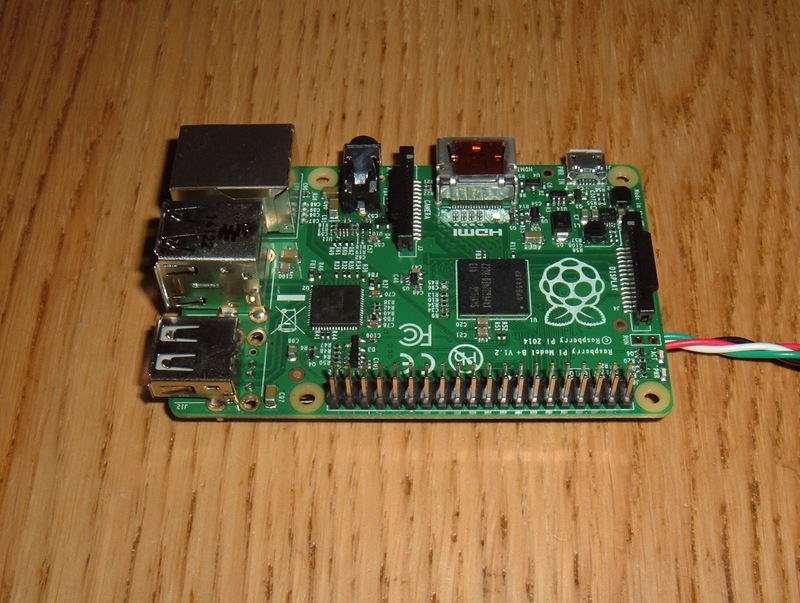 The cartridge port is just the right size for the Pi2, although I imagine neither were designed with that in mind. 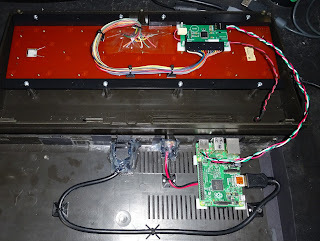 The single USB lead joins the two halves of the case. 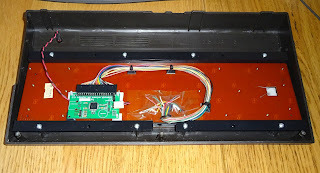 Another USB keyboard with Raspberry Pi is complete. You can order an Commodore 16 USB keyboard ask for a custom order if you want an integrated Raspberry Pi (or something else).